With the height of the holiday season just around the corner, protecting your home from thieves and disasters is probably further down on your to-do list than packing, shopping, and finishing up end-of-the-year projects at work. We’re here to ensure that you have a safe and fun-filled end of the year, and in today’s post, we’ll explain six tips that can help you protect your home this winter. Midwest Restoration Services is proud to be the Top Rated Local® restoration company in Batavia. We provide fire damage restoration, smoke damage restoration, water damage restoration, and numerous other services that can help you return to normalcy after a disaster befalls your home. Call our restoration company at 630-761-8100 if you ever need our assistance. Residents of Batavia and the surrounding areas have had their heaters on for several weeks now, and your household is almost certainly no different. We know that it can be expensive to keep your heater running throughout the day, but you should never turn it completely off. Whether you’re leaving for work in the morning or going somewhere warm to celebrate New Year’s Eve, you should set your thermostat to at least 65 degrees Fahrenheit. Your plumbing is at risk of freezing without any heat, and having to arrange water damage restoration when you return would be a terrible way to kick off the new year. Never place a candle on a flammable surface. Make sure that nothing flammable is near the candle. Always check that you’ve blown out your candles before leaving. 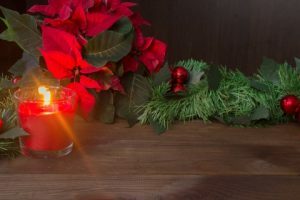 If you want a safer way to fill your home with delicious scents, then try to find electric or flameless candles at one of Batavia’s many local home goods stores. Improperly installed lights can be a fire hazard this time of year, so carefully inspect any holiday decorations you’ll be using for signs of damage. If you’re plugging lights into an outlet you only use around this time of year, then make sure that the outlet is working properly before you leave your lights plugged in for an extended period of time. Strange smells, sparks, and flickering lights are all an indication that something is amiss. While the holidays are a joyous time filled with delicious treats and the people you love, instances of burglary peak in late December. Keep your blinds closed during the day if you have more than a few presents under the tree, and always make sure that you’ve locked your doors and windows. 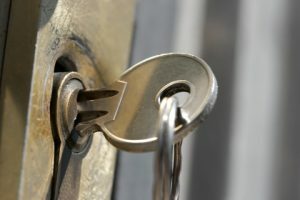 Even if you live in a safe neighborhood, the simple act of locking up your home can greatly increase your home’s security and protect you, your family, and your belongings. If you’re going to be out of town for the holidays, then we recommend that you contact a trusted friend or neighbor to keep an eye on your home while you’re away. 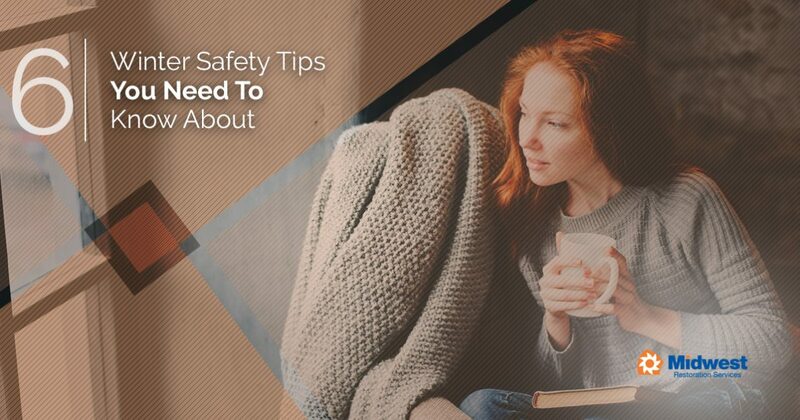 They can check on your thermostat and ensure that your home’s temperature hasn’t dropped below 65 degrees, and they can also be on the lookout for suspicious activity. While it’s highly unlikely that anything will happen in your absence, knowing that someone is keeping an eye on your home can bring you the peace of mind you need to fully enjoy your time away. Unfortunately, disasters never take vacations. Whether you’re staying here for the holidays or celebrating somewhere else, 630-761-8100 is a number you should always have on hand. We always have a staff member ready to assist you, even if your home has been damaged on Christmas Eve or New Year’s Day. Whether you need fire damage restoration, water damage restoration, or another one of our home restoration services, the Midwest Restoration Services team will be there to help. Happy Holidays from all of us at Midwest Restoration Services!